Used to be “depopulation agendas” were considered morbid whispers and spread of Conspiracy Theory. No More. Take a listen to this interview (first video linked below) with Kevin Galalae, who exposes the actual, planned Global Depopulation set up by the United Nations of the world via planned, intentioned, and acted-on mass sterility and morbidity being induced by all sorts of means, including biological, chemical, psychosocial–translating to flouride in water, mercury and other things in vaccines, endocrine disruptors in food and water, additives and preservatives in food, GMOs, metals, toxins, and bioweapons in chem trails–none of these apparently is a creation of the deranged, delusional fear of “conspiracy theorists” as corporate mainstream media (by the varying ruses of its silence, disdain, and scorn) would have you believe. None of it is exaggerated concern. None of it is imagined. “Interference” in fertility and conception for all women of child-bearing age, worldwide, and increased morbidity and early death for the baby-boomers and their parents–it’s all been planned, and it’s playing out now as planned. There has apparently been an actual Global Depopulation agenda in place for Decades, ever since the UN was created, and the “Globalists” imposed their fear- and doom-ridden view of a catastrophic future for Planet Earth on all the nations of the world claiming membership in the UN by forcing participation in a worldwide plan for mass culling in slow-motion, over decades, through a variety of means. The UN, the Vatican, the Military: According to Kevin Galalae as expressed in this conversation, the UN is the brain, the Vatican the “secular authority” permitting these “crimes of necessity,” and the military-industrial complex the strong-arm or muscle providing the physical means of delivery. There is no shadow global government, he says, although he recognizes the presence of the CFR, the Bilderbergers, the Trilateralists, it’s our own governments, all around the world, who are genociding us. I have to say I felt physically ill listening to some of this podcasted/video’dinformation, and then exploring it later in print. Clearly I’m coming to it a bit late for Kevin Galalae and his extraordinary activism have been around for a while, as this journal-article at Sleuth Journal covering a long hunger strike he held at the Vatican last year attests. I am still exploring this subject but thought I would post some video and article links here for others to explore. Kevin Galalae is a committed activist who spells out that people all over the world need to wake up and understand what is going on, speak out vociferously against it, and hold the perpetrators accountable–or just give up and let them continue to engage in mass genocide while poisoning the Earth’s waters, soil, air, and food for our children, which surely is not an option for anyone with an interest in the future of humanity–or the present, for that matter. 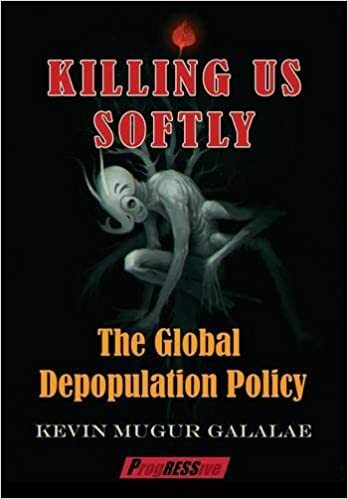 “NewsVoice asked the Canadian historian and political activist, Kevin Galalae if there is a global depopulation policy. Yes, he says and Galalae claims he can provide conclusive and incontrovertible evidence in his newest book, “Peace Without Poison”, that the international system post-World War II is based on genocide and that the vast majority of the world’s governments has cooperated with the UN to subvert their people’s fertility and, most recently, longevity in order to control population growth. This global program of social engineering, now in its seventh decade, is the world’s best kept secret and the axis around which the international community has revolved since 1945, says Galalae. This program seeks to artificially balance births and deaths in every country on earth and in this fashion stabilize the global population to ensure that all nations live within their means rather than outgrow their resources and cause wars of aggression. 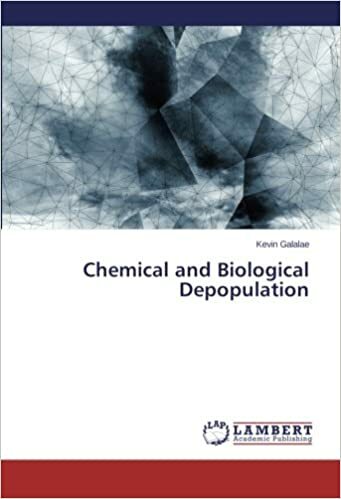 Galalae states with certainty that the number of births is limited by interfering with the human reproductive system through endocrine disruptors deliberately inserted in food, water and beverages across the world at an incalculable price to human health. Another article covering Kevin Galalae’s activism can be found here at Activist Post. I’m all for nurturing and venerating Nature, but I’m a little worried by talk of Nature-worship which seems to posit Nature as a most fractious and demanding deity, and essentially a top-down commander, much in the style of current top-down controllers. This characterizing, is, for instance, expressed in the Nature infomercial voiced by Julia Roberts (part of the Hollywood mind-control video linked in this post). There are, obviously other views about population growth currently, and one of them critiques the Western panic-mode approach and idealogy about population control (even if it’s not the genocidal method detailed above), such as expressed in this essay by Haneul N’aavi posted on Criticl.me: An Open and Honest Letter to Kevin Galalae, which calls into question the Anglo-American and Malthusian notions of resource scarcity and social Darwinism. Please follow Kevin Galalae on Facebook, read his books, explore this subject further online, consider what form your own activism can take. 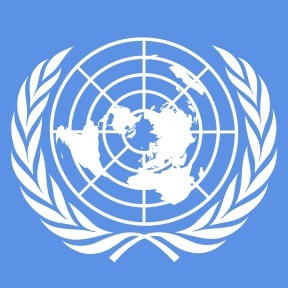 This entry was posted in Agenda 2030, Agenda 21, Chem Trails, Global Governance, United Nations and tagged chem trails, global depopulation agenda, GMOs, Infertility, Kevin Galalae, morbidity, sterility, United Nations, vaccines, Vinny Eastwood. Bookmark the permalink. An odd thing about depopulation and this pseudo-Nature worship is that somehow humans are NEVER considered by such people to be a part of Nature! They also never seem to consider the actual facts about how easily even a much larger world population than this could be fed – IF the ecosystem hadn’t been under a toxic attack for decades. Even so however it could still be done without too much trouble. No, there are other reasons for killing off so many people than those given. In fact, the very people who are behind the worst attacks on Nature are the ones pushing those attacks, including “Geoengineering”! Those are the insane so-called “elites”. One reason I’ve heard (and remember, they ARE insane!) is that the “elites” believe they now have the technology to upload their minds into a virtual world, as well as into synthetic, electromechanical bodies that are capable of “living” forever. In other words they want to make themselves immortal, but they fear that the rest of humanity will want the same thing, and they’d destroy the “elites” trying to wrest the secret from them. The obvious (to them at least) solution is to annihilate us all. They’ve been making quite a creditable effort: they’ve managed to poison almost everything that humans are in any way exposed to starting with everything we NEED, like air, food, water and so on. Their claims about too great a population density are false; they’ve been busy with this clandestine series of attacks for CENTURIES, and the rest of of humankind have only recently twigged to what’s going on, and only a relative few of us. It’s an excuse and no more, but it gives them a reason to quote to questioners for what they’ve been doing to us. They’ve made existence on the Earth a “kill or be killed” situation for the human race as it was for us as savages in the Beginning, and we’re running out of time. The “elites” have a head start, and another advantage of sociopathy – they have no consciences at all, no empathy, never mind sympathy, plus they enjoy making and watching people suffer and die at their command. Sometimes they do it themselves directly, often as part of a “Luciferian sacrifice”. A positive attitude may indeed help, and maybe more then we realize, as it may actually cause some modifications of what we call “reality”, but apparently it’s not enough all by itself. There MUST be some sort of supporting effective action, and it MUST BE SOON!